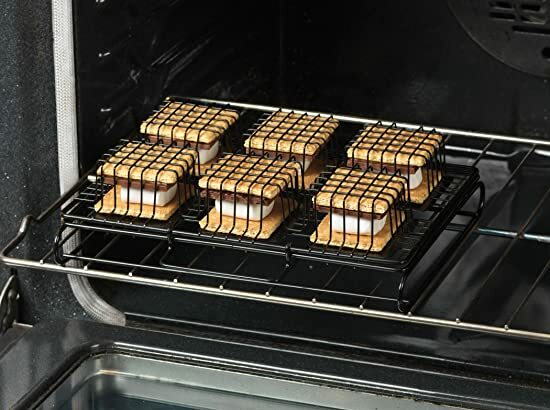 The S'More To Love S'More maker offers you a fast, easy way to make that delicious marshmallow, chocolate and graham cracker treat right in your oven, toaster oven or on your grill. 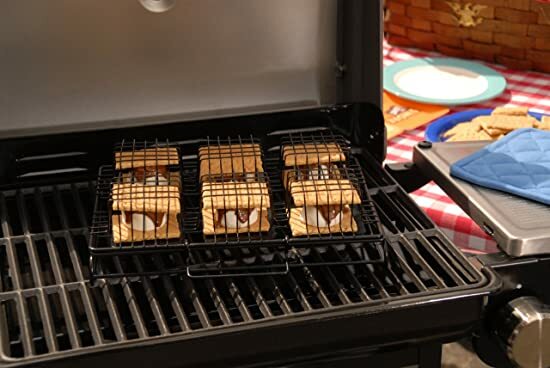 No more dirty campfires and burnt marshmallows - this innovative treat-maker allows you to make 6 tasty S'mores in just minutes. 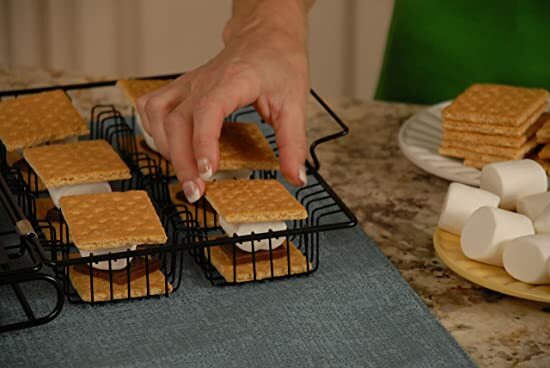 Sweet creamy marshmallow, crunchy toasted Graham Crackers and soft melted chocolate. Mmmm. 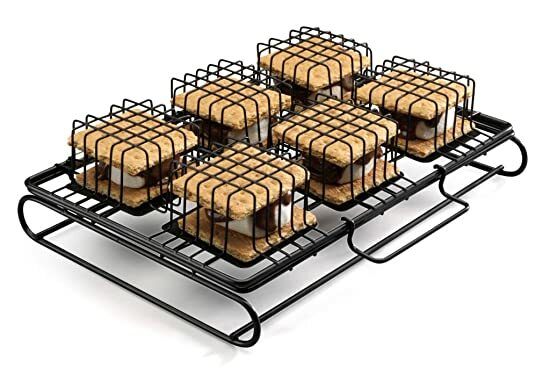 Simply stack, lock and place on your grill or in your oven and be the hit of any barbecue, picnic or party. Innovative culinary tools are the Cuisinart signature. The prestigious Cuisinart brand is not limited to their famous food processors - plugged or unplugged, nobody covers the modern chef like Cuisinart. 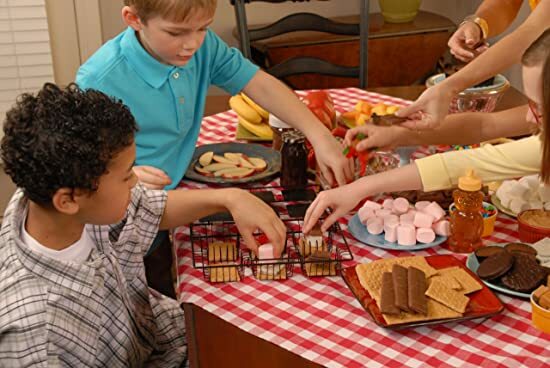 Cuisinart is a full-service culinary resource with a wide array of products, preferred by chefs and favored by consumers. And now you can take the world famous Cuisinart brand to your patio, lawn, tailgate, or campsite with their comprehensive line of Cuisinart outdoor grilling products available now on Amazon.